Located in Guanacaste Province, Hotel Punta Islita, Costa Rica’s newest Pacific paradise marries rustic elegance with luxurious seclusion to create an exotic, tropical retreat worthy of being named to the membership of "Small Luxury Hotels of the World". 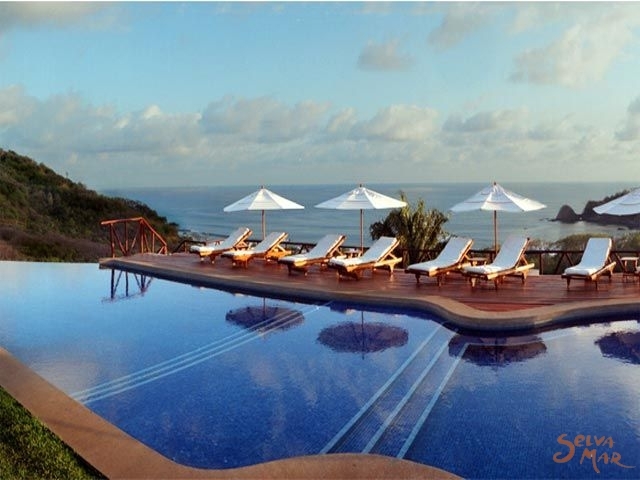 Set high up on a hill on the western coast of the Nicoya Peninsula (Guanacaste), the property is cradled by heavily forested hills on three sides with the crystal clear waters of the Pacific completing the panoramic view. The only visible structure for miles around, the hotel materializes out of its untamed surroundings as a tranquil base from which to explore the natural, unspoiled beauty of the dry tropical forest. Though only 40 minutes by plane from San Jose, or two-hour drive from the ferry ports of Playa Naranjo and Puerto Moreno, which are one hour and-a-half from San Jose, the capital of Costa Rica, Punta Islita offers complete solitude. Except for a few tiny villages connected by rutted, dirt roads, the hotel is a solitary outpost in a spellbinding part of the world. Absent are the annoying everyday noises of planes overhead, highway traffic, honking horns and even the ring of telephones. Instead , guests hear the distant sounds of pacific waves crashing ashore, intermingled with the songs of a multitude of exotic birds, arrays in feathers of electrifying colors. 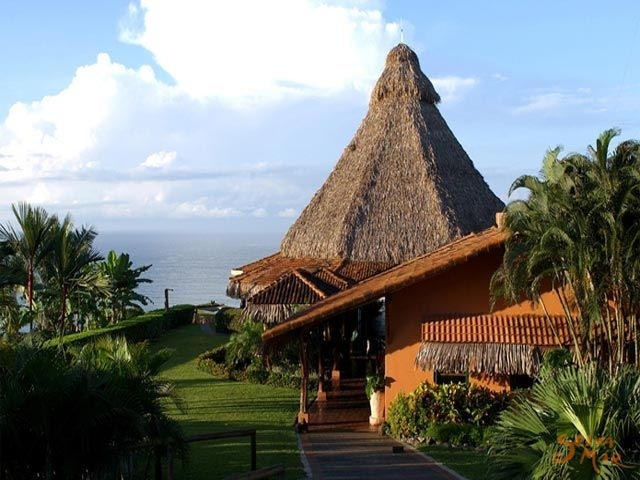 The peaceful ambiance and rustic decor, complete with thatched palm and tile roofs, gives the authentic Costa Rican touch to this luxurious hideaway. All accommodations are built upon a gentle knoll that is surrounded by hills, with a stunning view of the Pacific Ocean from each room’s picture window. The main building houses the open-air "1492" Restaurant, where guests dine while overlooking the multi-tiled cascading pool, complete with swim-up bar. 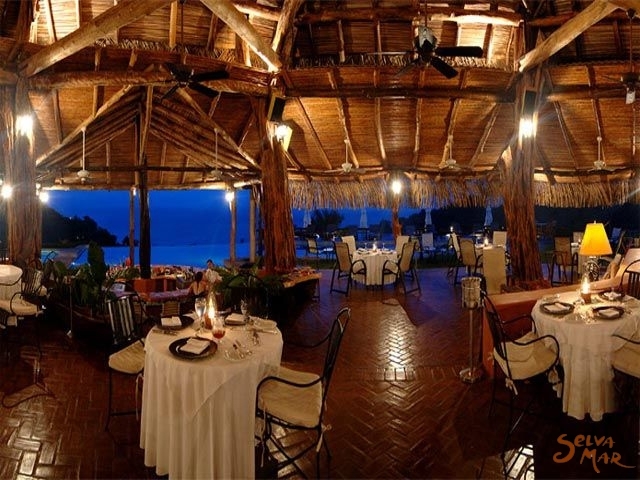 Nights at Punta Islita are special as guests migrate to the restaurant and bar area for drinks and dinner by soft light, listening to classical Latin music while enjoying the gentle tropical breeze that comes off the ocean each evening. 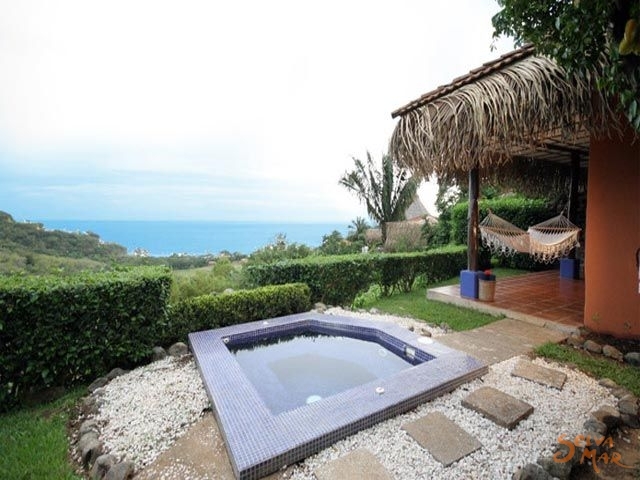 The property is a small and intimate with twenty bungalows, four suites and one "Casita" that will sleep six. All of the bungalows have an ocean view with two double or one king-size bed. Hair dryers and luxurious bathrobes with large, beautiful tiled showers complete spacious baths. All rooms are air conditioned with ceiling fans, satellite TV and minibar. Private terraces come equipped with large hammocks. The suites have outdoor Jacuzzis for two on a private, ocean view deck. Large bathrooms overlook tropical gardens enclosed by stone walls, with large bathtubs positioned to overlook the lush vegetation while relaxing refreshing bath. The "Casita" has three bathrooms, a living room and fully equipped kitchen, a small private pool with sun deck and terrace with hammock. Maid and bar service available upon request. The Majestic "Palenque" Restaurant is known as one of the finest in the country, featuring fresh food, French and international cuisine combined with special native Costa Rican dishes. The "Borracho" beach club, is an excellent option to enjoy the drink of your preference at the beach, as well of some delicious snacks. The Columbus Room has capacity for 35 people - classroom style, 50 people - theater sytle, 30 people - U shape, and 50 people for cocktails. Enjoy horseback riding tours conducted by a multi-lingual guide. 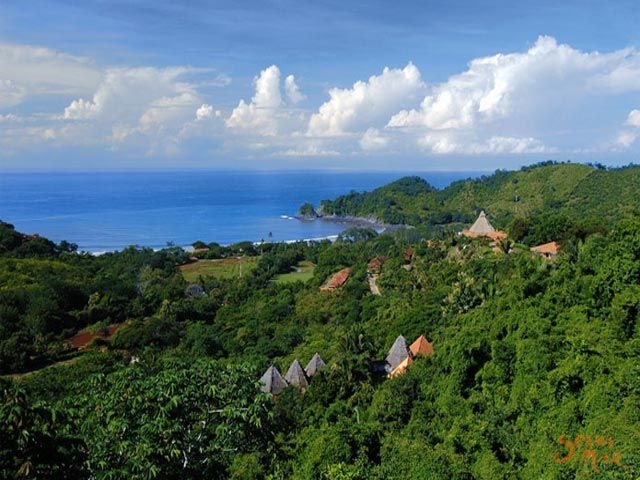 Mountain biking, and nature walks completed with bird watching in the surrounding rare Dry tropical forest can be easily arranged by the resort’s highly qualified staff. In season turtle nesting tours to nearby Camaronal beach are a popular activity. 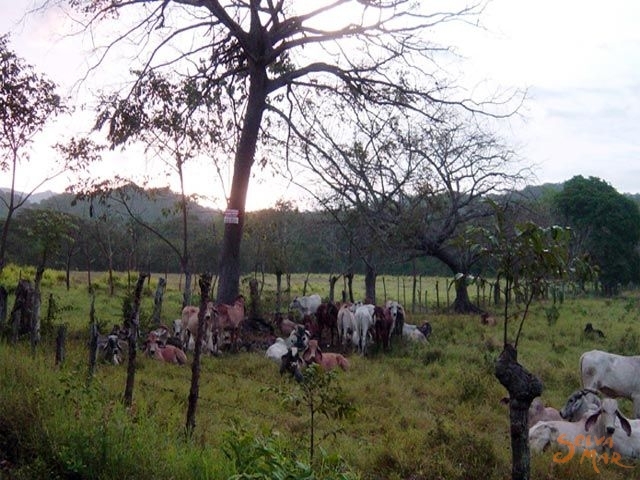 These noble specie of the animal kingdom have been nesting in these area during the same season for hundreds of years. 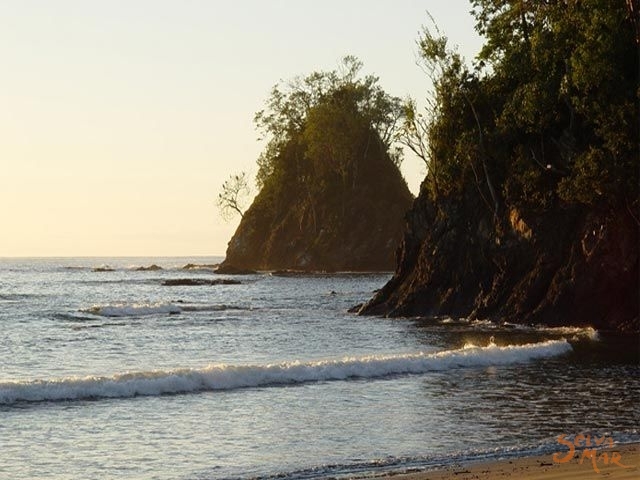 The water near Punta Islita offers some of the best sportfishing in all of Costa Rica. Half or full day excursions, including cold drinks and lunch, can be arranged with a one day notice. Also snorkeling is available at nearby Carrillo where you will be delighted by the wonders of the Pacific Ocean. On site tennis courts and a Cybex equipped gym overlooking the ocean are also available for those who want to continue the workout while during their vacations. The climate is tropical with an average annual temperature of 80º F. The warmest month are January through April. May through October tend to be rainy months, with daily shows possible. 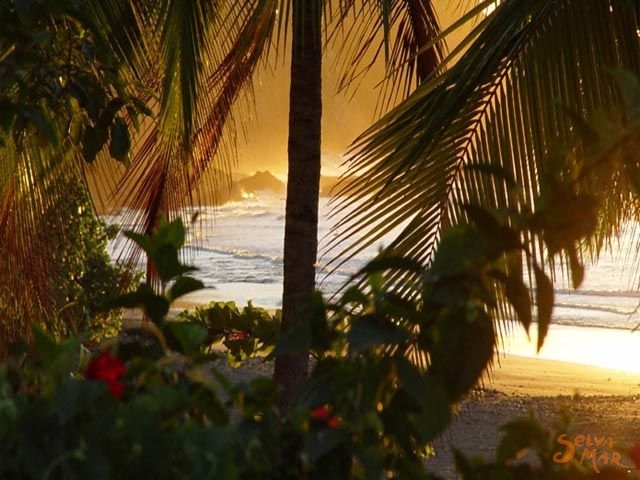 Hotel Punta Islita is located in the Nicoya Peninsula of Guanacaste, an area recently classified as one of the four longest life expectancy regions in the world. Surrounded by tiny villages and towns, Hotel Punta Islita’s neighbors offer a glimpse of Costa Rican rural life and traditions. Convenient to both Liberia and San José international airports, reaching Hotel Punta Islita takes under 40 minutes by air, about four hours by land.